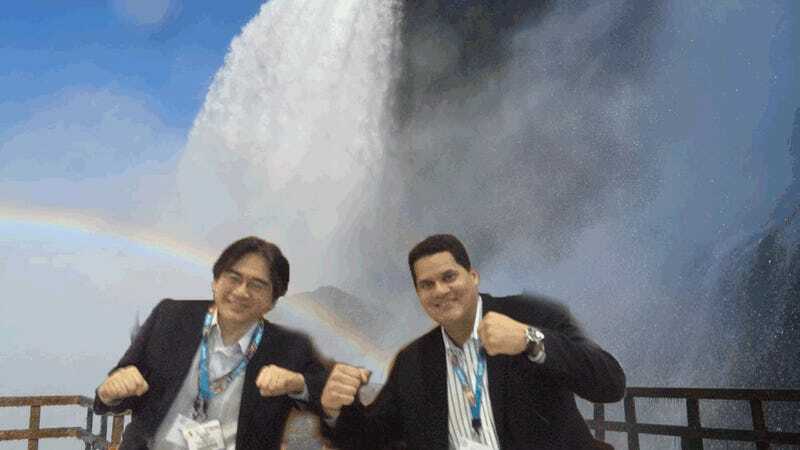 Plenty of great entries for this week's 'Shop Contest, drawing on a dynamic trio photo-op comprising Nintendo's Satoru Iwata, Reggie Fils-Aime, and Shigeru Miyamoto. How do you win with that exploitable? 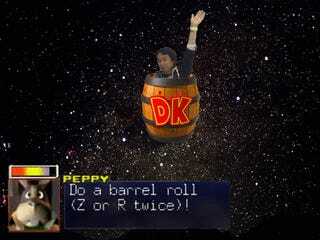 I'll give you advice: Go to E3, screw up like I know you will, and wind up in a barrel, like dystopika! If you're not familiar, that's a reference to Breaking Bad, as is this week's winning 'Shop (sciteach's mournful Iron Man kid was a very, very close second). Others were less subtle in their jokes, but no less hilarious either. 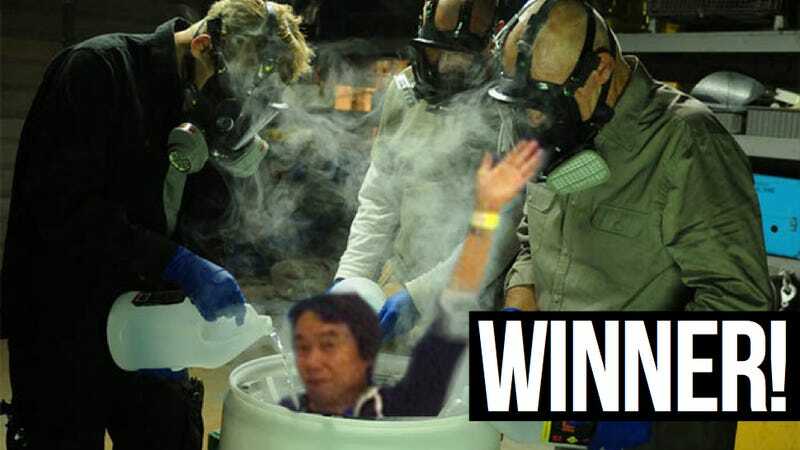 Still, Mike, Walt and Todd getting rid of Miyamoto is the kind of dark and culturally relevant humor we like around these parts. Grats, dystopika, and all who made this week's finals!